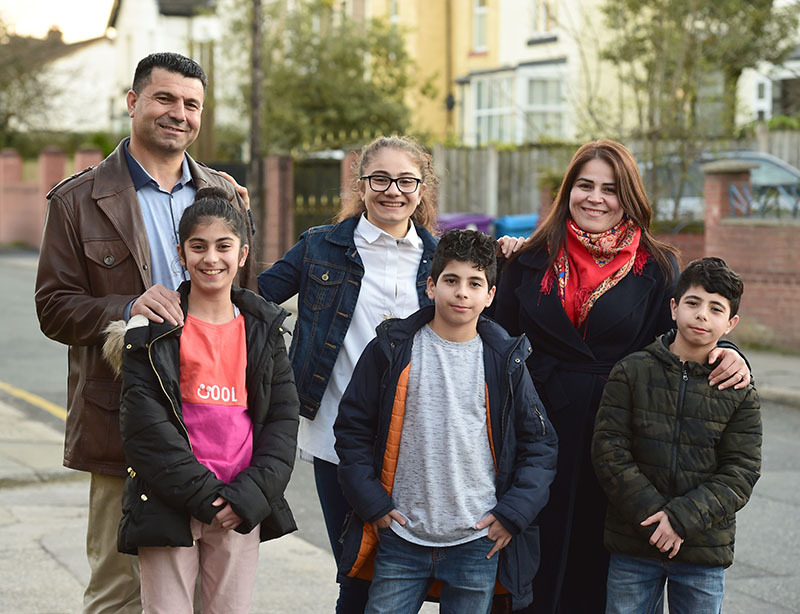 Year 10 student Roj Al Joul Bek has written up her story of her family’s journey from Syria to Liverpool. Roj wrote her story as part of a project for Refugee Week – coming up in June this year. She initially wrote it out by hand and then revised it whilst typing it up on her computer. 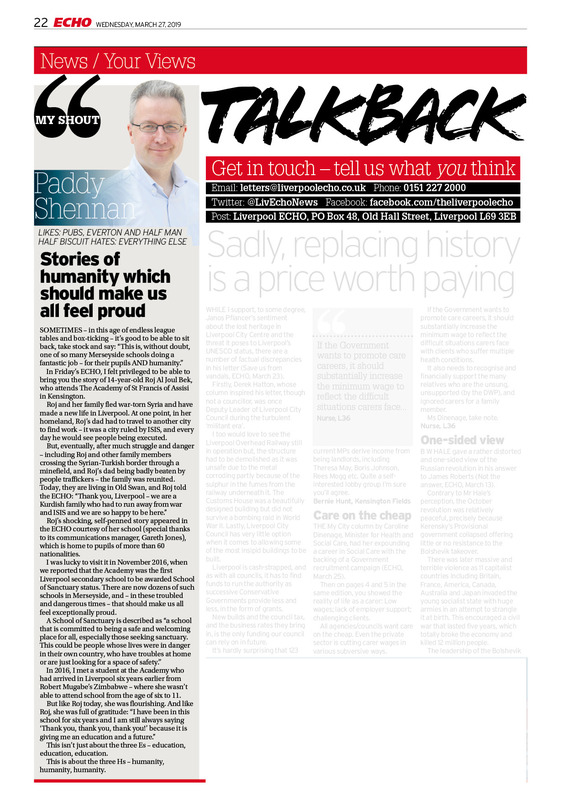 Journalist Paddy Shennan read it and thought the story was so good that he put it in the Liverpool Echo on Friday 22nd. It is not often that a Year 10 student gets their work published in a newspaper and Roj, her family and everyone at our school are very proud of her work. 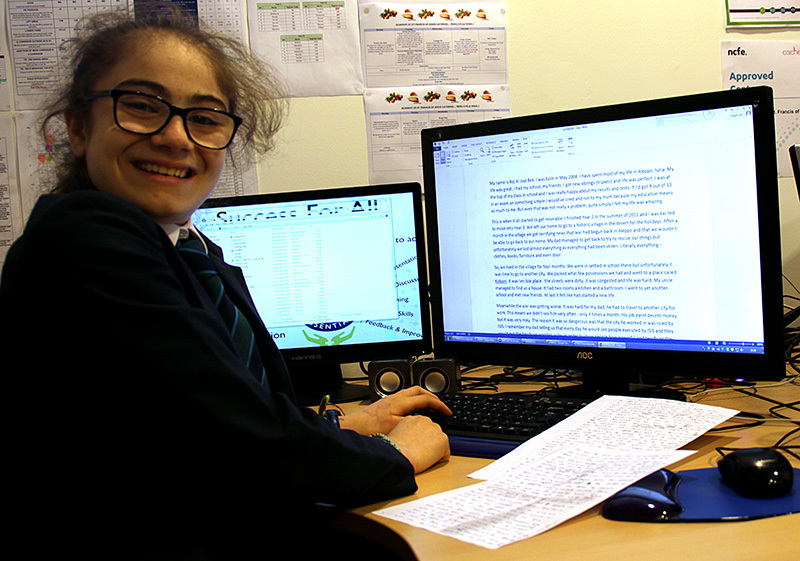 Roj is now looking to enter the story into writing competitions and she’ll be working on a video of the story to be shown to all students during Refugee Week. We decided that Roj deserved a reward for her hard work, honesty and bravery in sharing her story with us. 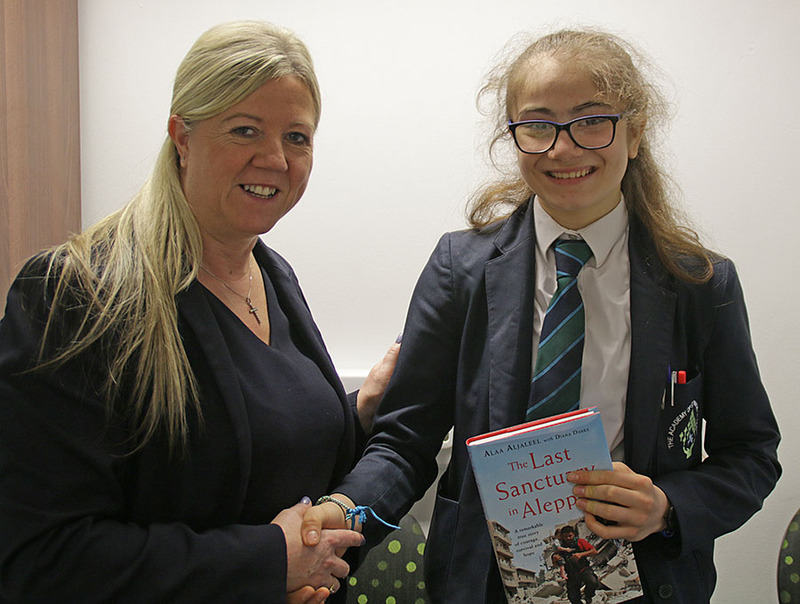 Headteacher Mrs Greenough presented her with a copy of “The Last Sanctuary in Aleppo” – the story of a man from Roj’s home town of Aleppo.